It would be difficult to argue the importance of Quentin Tarantino to the last three-ish decades of cinema. Though he may have picked up style points here and there from his own favorite filmmakers, his works have a distinctive look and feel that make them instantly recognizable to all breadths of cinephile. Plenty of QT imitators tried to strike while the iron was hot in the mid-to-late '90s, with diminishing returns, while the man himself just kept making movies that felt and looked great. Though Drew Goddard came up under the tutelage of Joss Whedon, one might watch Bad Times at the El Royale and believe that he could have been QT's own star pupil, hitting the beats far more successfully than anyone besides the genuine article. 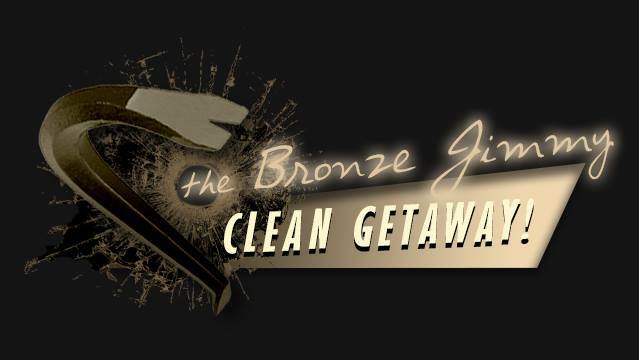 And though it is admittedly one of the better imitators, one can't help but feel something is a bit off. The action in Bad Times takes place over the course of one night in 1969 at a once-grand motel on the border of California and Nevada (literally; the line runs straight through the hotel's lobby, dividing its rooms between the two states.) 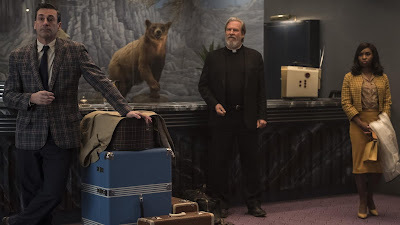 Each of the seven strangers who find themselves at the El Royale shows up with plenty of baggage, either literally, figuratively, or both. As the events of that fateful night unfold, their stories intertwine in all sorts of strange and unimaginable ways. To say much more than that would be to spoil the film's many fun, bizarre and sometimes downright dark and twisted moments, which should successfully generate more than a few audible gasps from the audience. Front and center in the film is the cast. There are plenty of recognizable names and faces here, every single one of them is fantastic. But you kind of expect that from the likes of Jeff Bridges or Jon Hamm or even the sneaky great Dakota Johnson. As a testament to the depth of the casting, the film's two best, most interesting performances come from actors quite a bit further down the bill. Cynthia Erivo, as soul singer Darlene Sweet, is the absolute breakout performance of the film. Sweet is a phenomenal character, the joyful, hopeful center of even the film's darkest moments, and Erivo rises to every single occasion and dominates every scene that she appears in. It's hard to believe that this one of Erivo's first major credits period, much less her motion picture debut (she'll also appear in next month's buzzy Widows), but to borrow a cliche from another current box office smash, a star is born. Also great in his small role is young Lewis Pullman as bellhop/desk clerk/only guy who works there Luke, who gets to have a lot of fun in what one might initial believe is a seemingly unimportant role. As one might expect from Bad Times at the El Royale, nothing, and no one, are what they seem. Goddard's penchant for complex characters and witty dialogue serves Bad Times well. As he proved with 2013's fantastic The Cabin in the Woods, he is never afraid to subvert the audience's expectations and lead them down a more interesting path than they might have bargained for. With Bad Times, Goddard gets an opportunity to throw plenty of curve balls, but for some reason they mesh into very few truly great at-bats. Bad Times is a painfully cool movie, from its look and its witty dialogue right down to its hip cast. While plenty of interesting stuff does happen to our characters through the film, it's hard not to wish things were a bit more connected. That's what QT always did well; as random as the often jarring jumps from cool scene to cool scene were, it was the underlying connective tissue that held the whole beautiful mess together, and Bad Times doesn't have nearly enough of that. The result is a whole lot of sound and fury, signifying not nearly enough. While it would be easy to point to say that Bad Times cribs heavily from Pulp Fiction (and truthfully, one wouldn't be wrong), perhaps Tarantino's more recent work The Hateful Eight is a more apt comparison. Shady characters in a shady spot just trying to survive the night can make for a tasty stew, provided you have the right ingredients. 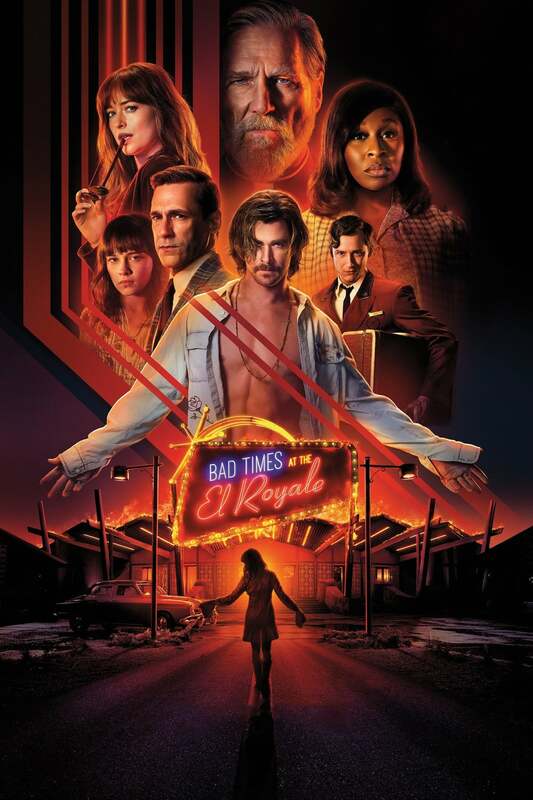 They don't come much fresher than a cool, colorful crime story with a knockout cast, though Bad Times at the El Royale still seems to be missing that special something that makes QT films events. Though it's not quite as satisfying as you hope it will be, chances are you'll still have a pretty good, and sometimes even great, time at the El Royale.